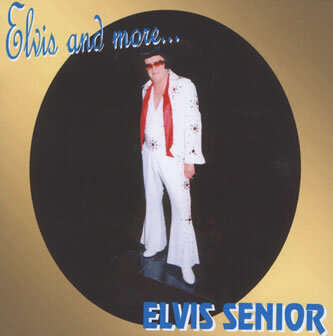 Elvis Senior is an ageing rocker. He was there in 1956 when 'The King' burst onto the scene with Heartbreak Hotel and That’s all Right Mama. He experienced the impact of the Presley special style and witnessed the arrival of a superstar in the making. If 'The King' were alive today he would have probably recorded at least another 500 songs. 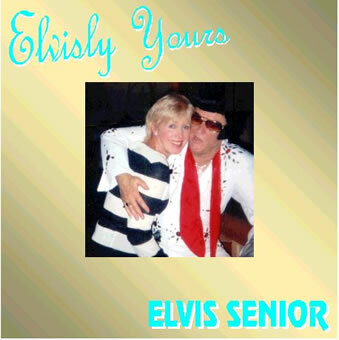 Elvis Senior explores this by including several well known songs not recorded by Presley. 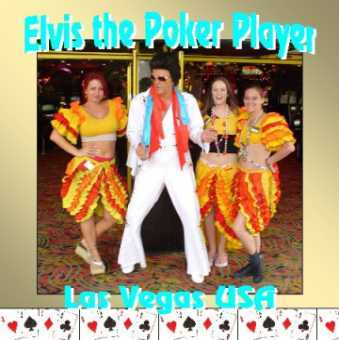 In order to rouse Elvis into live action, you will need to complete the booking form at least 56 days in advance. He will appear in full regalia with supporting singers and background music. His appearance Fee is exclusive of all expenses, and one half of his fee will be distributed to charity. His range of songs covers the fifties, sixties and seventies. As soon as we receive your booking confirmation and 20% non - returnable deposit, we will send you a free C.D. featuring several of the songs which you may select for his live performance, which usually lasts about 2 hours including a short interval. Please view the selection of songs and mark your requests. 1. Ain’t that Lovin’ you baby. 2. All Shook up. 3. Always on my mind. 4. American Trilogy. 5. Are you lonesome tonight. 6. Baby I don’t care. 7. Blueberry Hill. 8. Blue Suede Shoes. 9. Burning love. 10. Can’t help falling in love. 11. Crazy. 12. Devil in disguise. 13. Don’t. 14. Don’t Be Cruel. 15. Don’t Cry daddy. 16. G. I. Blues. 17. Great Balls of Fire. 18. Heartbreak Hotel. 19. Hound Dog. 20. It’s Now or Never. 21. It’s only Make Believe. 22. I want you, I need you, I love you. 23. Jailhouse Rock. 24. Just Can’t Help. 25. King Creole. 26. Lawdy Miss Clawdy. 27. Love Letters. 28. Love me Tender. 29. Moody Blue. 30. My Way. 31. Return to Sender. 32. Shake Rattle a Roll. 33. Surrender. 37. The wonder of you. 38. That’s All Right. 39. Too much. 40. Treat me Nice. 41. Trouble 42. Viva Las Vegas. 44. Wooden Heart. 45. You Don’t have to say you Love me.